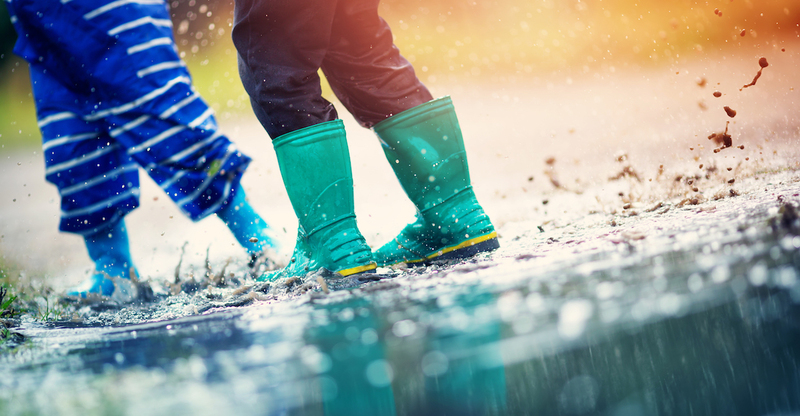 Known as a spot for otters, butterflies and delightful dippers, the new trail is a great way to get children off the tablet and engaged in the natural world around them. The lovely people at The National Trust have made a 2-mile circular trail that’s both pushchair friendly and takes in stunning scenery such as wooded combes and coastal vistas. 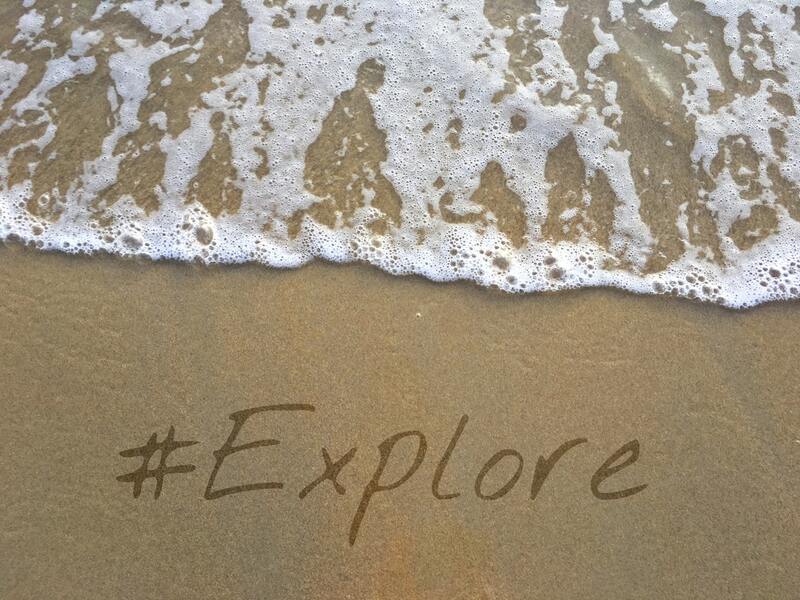 Children are encouraged to ‘act like explorers’, using their nature passports to discover clues, information and activities along the way. In such a beaut of a location, this is one we’re definitely keen on checking out! There’s a super-colourful programme of activities on offer throughout Easter here. They’re scoffing at Cadbury’s and instead offering a premium Lindt Gold Bunny trail, for starters. 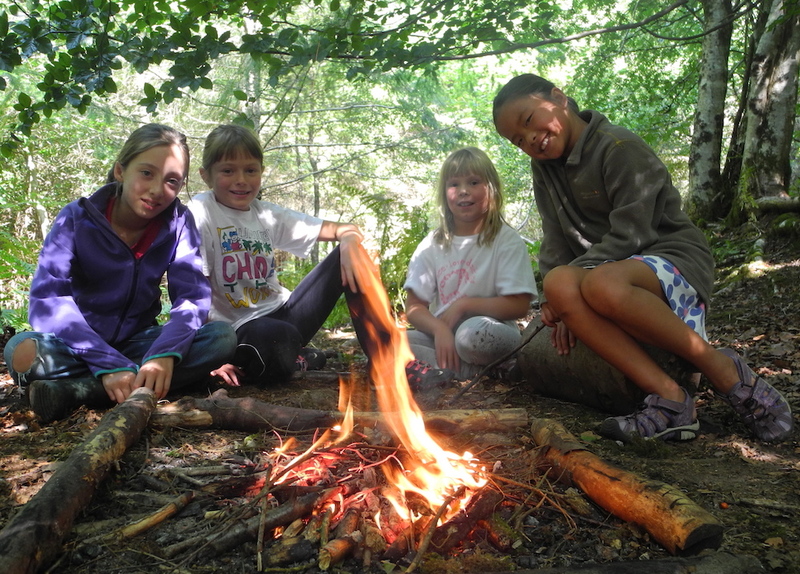 You can also get stuck into drop-in crafty workshops and the hols culminate in the Wonderful Wilderness Weekend, which is designed to introduce people to living off the land, treading more quietly and understanding more about nature. 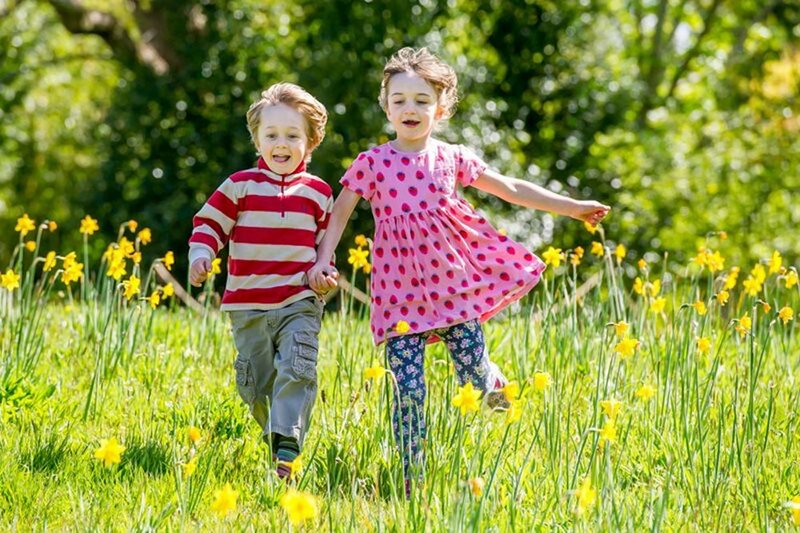 We’d be here all day if we listed all of the different egg hunts and trails on offer around Devon this Easter; so instead, we’re picking our favourite-sounding few. This is one of them, because aren’t donkey’s just the cutest creatures? (Plus, we figure you’ll be sick to the back teeth of chicks and bunnies by the end of the hols). 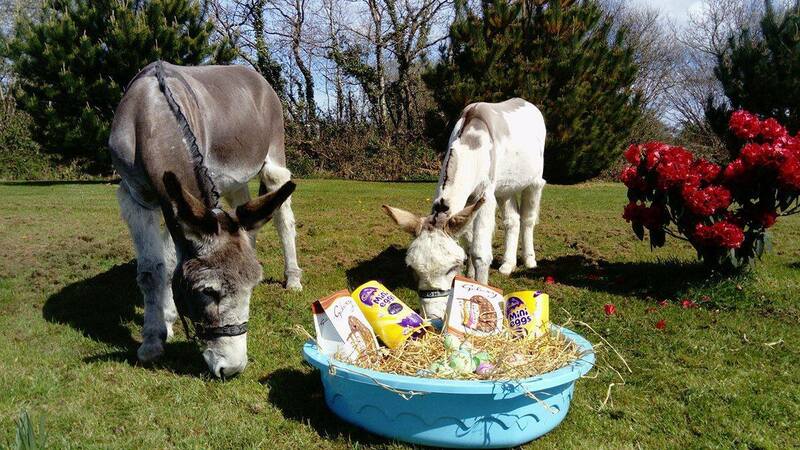 Expect an all-weather donkey trail and egg hunt, a craft corner, Easter raffle, plus of course, the chance to meet the stars themselves eeeyorrrre! Let the egg-hunting commence…again! This one stands out as a winner because of its awesome location and all-round family “fun-ness”. 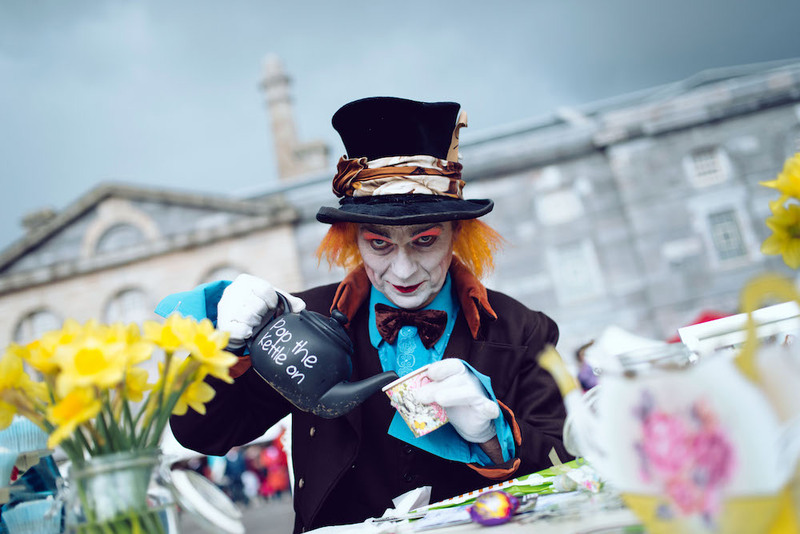 Not only will there be the regular Good Food Market (ergo no cooking today thanks), but this egg hunt is accompanied by Alice in Wonderland characters from Invisible Circus, who will help kids (and adults) find egg-citing clues that lead towards a chocolatey prize. Plus, all proceeds go to charity: literally couldn’t tick any more boxes if they tried. Starting at 11.30am sharp, it’s the infamous charity Megga Egga Hunt! 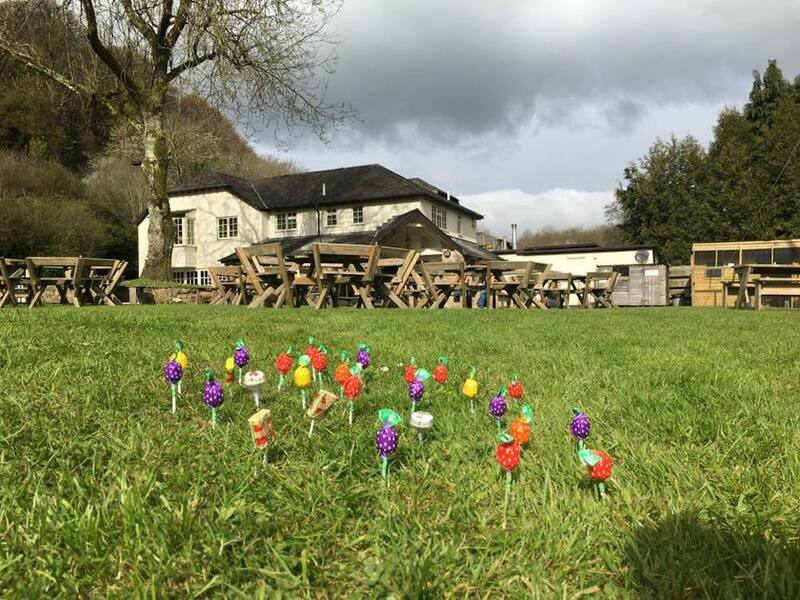 In the gardens or one of our favourite pubs, kids will be able to take off in search of sweets galore. Don’t forget to bring a basket, fancy dress (optional) and bags of enthusiasm! Bacon baps on tap for grown ups, too. Get in! 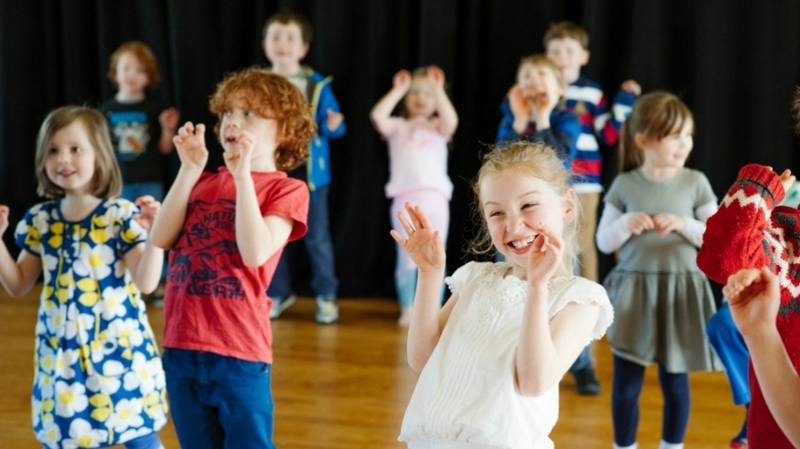 For some old-fashioned family fun this Easter, Immersion Theatre’s touring production of The Jungle Book might be just the thing to kick off your mudlet’s Easter Hols: full of dancing, singing and energy you can watch the show and then meet the “animals” afterwards. Perfect for the minis. This one’s so hot off the press, we’re still awaiting the finer details, but, trust me, you’ll want to be a part of this one. The Easter bunnies at Paschoe are famously mischievous and will be hard at work hiding all kinds of Easter treats around the house and grounds. Is that an, err, clue I can spy between the gin bottles? I’ll be right back. Keep your ears pricked for more info on this one! It must be Spring, because the fab folk at SeaSports South West are open again and back in business 7 days a week until September – huzzah! Get the smalls out on the water over Easter by booking them onto this very cool-sounding holiday club. 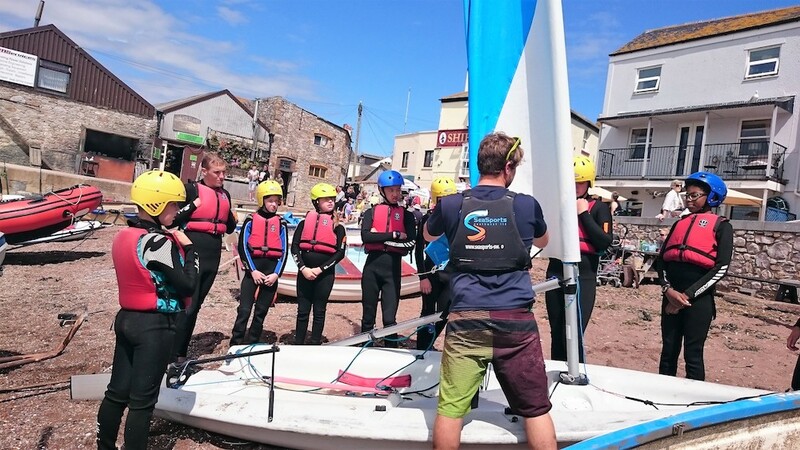 Kids aged 8+ can get involved with a two or five-day water sport course, from dinghy sailing, windsurfing, kayaking and paddle boarding, or a taster or all four. They’ll end the week with a fun game of paddle board football with the new bezzies they’ve made! How cool?! Anyone else doing a sun dance? 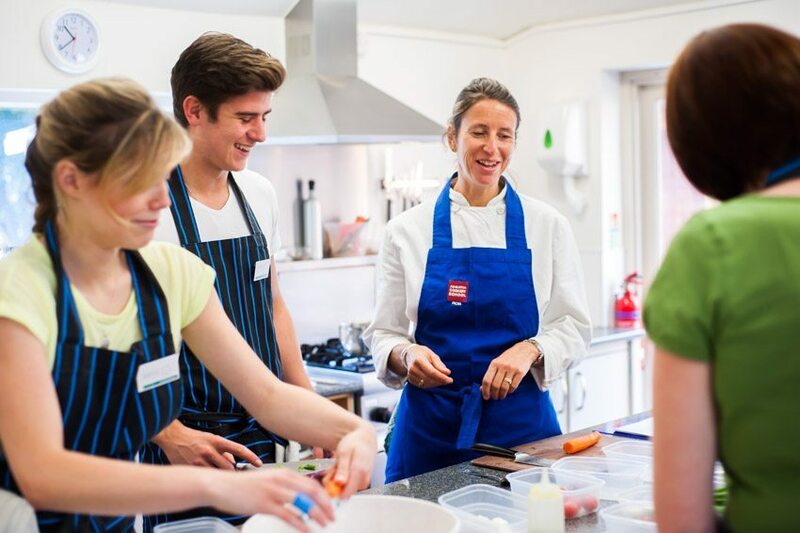 You’ve 4 brilliant kids courses to choose from at Exeter Cookery School this Easter. This excellent facility based in a converted warehouse on Exeter’s Quayside, will be laying on 2 courses per day on both the 3 and 6 April; both morning ones are for 9-11 year-olds and you can choose from either pizza and meringue-making, or quiche and shortbread biscuits dipped in chocolate; meanwhile the afternoon sessions are for 12-14 year-olds, who can learn all about chicken goujons and eclairs & profiteroles on one day, and fresh pasta making, pesto sauce and chocolate fondant the next. Crikey, they’ll be trumping me in the kitchen after one of these courses! Any room for an adult?! 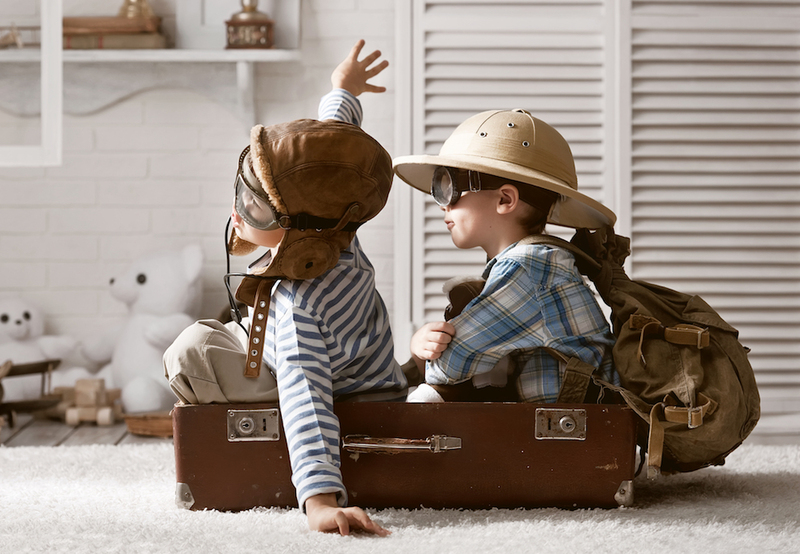 Is this the most adventurous Holiday Club there is? Probably. 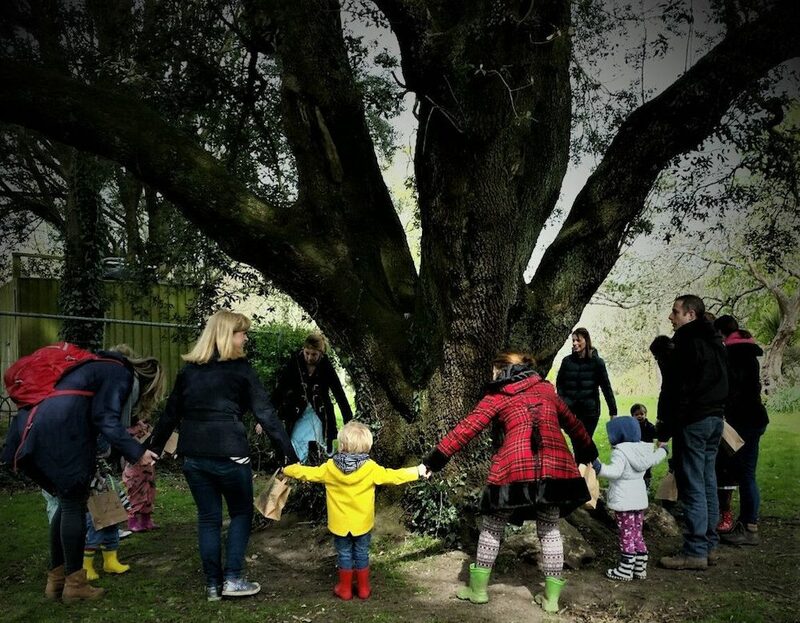 Woodland Adventure Club at Grammarcombe Woods, nr Exeter invites small people to experience a day, or more, of Forest School activities such as Easter crafts, wild food foraging, campfire cooking, wood carving, Easter egg hunt, toasting marshmallows and much more besides. 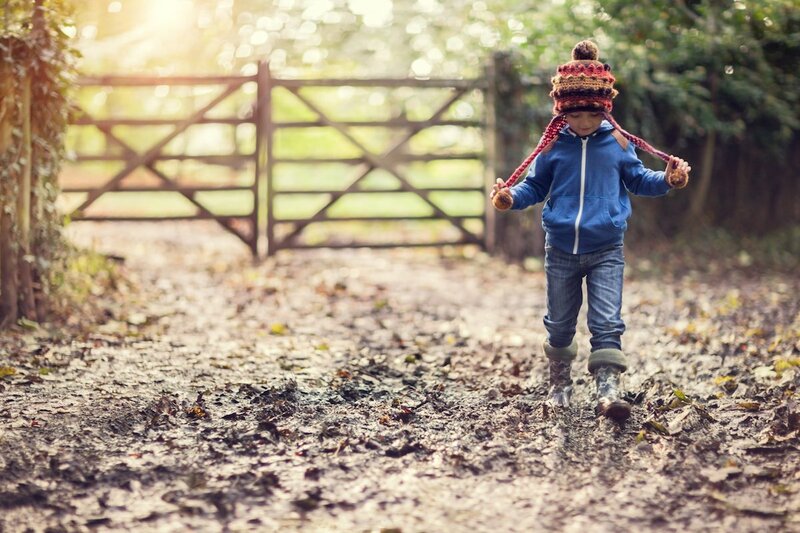 Good old fashioned outdoor fun with plenty of mud and not a games console/iPad in sight! 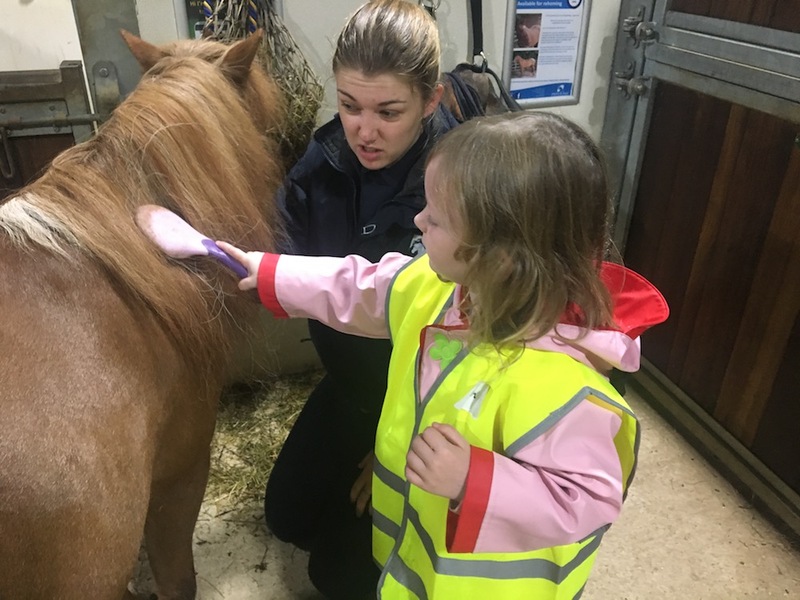 We visited this cute little centre last summer and loved how the small people could get hands on with learning how to care for a pony (takes ‘try before you buy’ to a whole new level!). This Easter the centre will be putting on another couple of their lovely Happy Hooves Pony Club sessions at their centre not far from Totnes. If you’ve a horse-mad primary school-aged mudlet in the family, this one’s well worth a visit for a happy few hours! Fancy all the fun of Play-doh with none of the clearing up afterwards? Powderham castle is offering 4 “creative” days in the castle over the course of the week. Not only can you enjoy the epic surroundings, the magnificent views and possibly spot some deer, you and your small human can also create tangible take home memories at the same time. Sounds whimsically majestic. We love the look of this Braunton-based brand and all they stand for; so we pricked our ears up when we saw these workshops advertised. 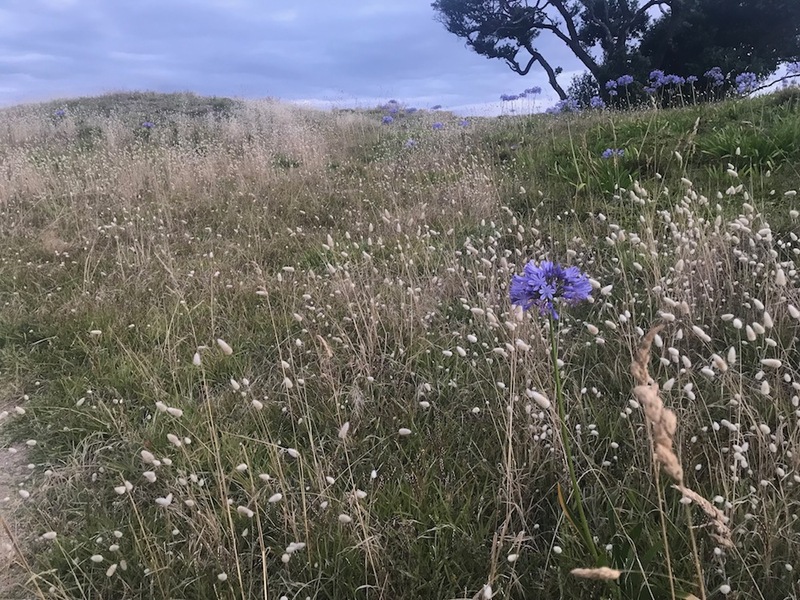 Kids aged 7-10 years can get outdoors and learn all about plant ID go on a scavenger hunt, play wild games and indulge in a bit of natural arts & crafts. I mean, Braunton’s a beaut of a place any day, so this is a winner in our opinion. 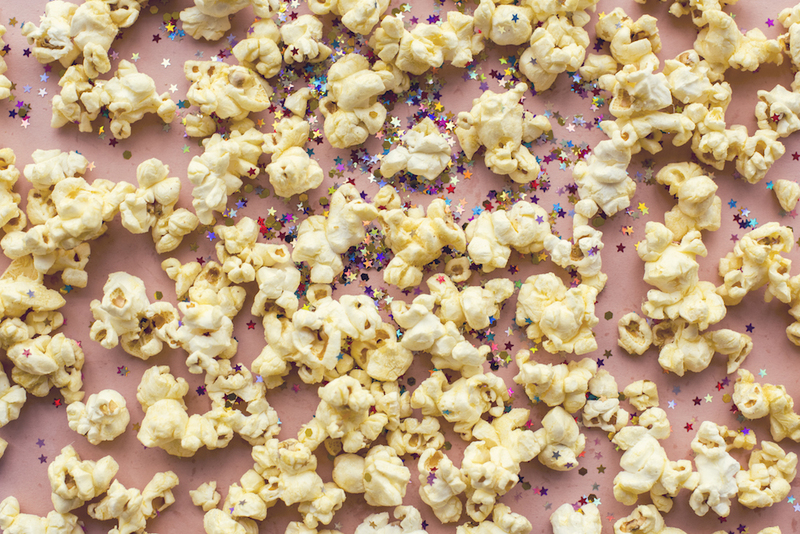 How to counteract all the chocolate-gorging? 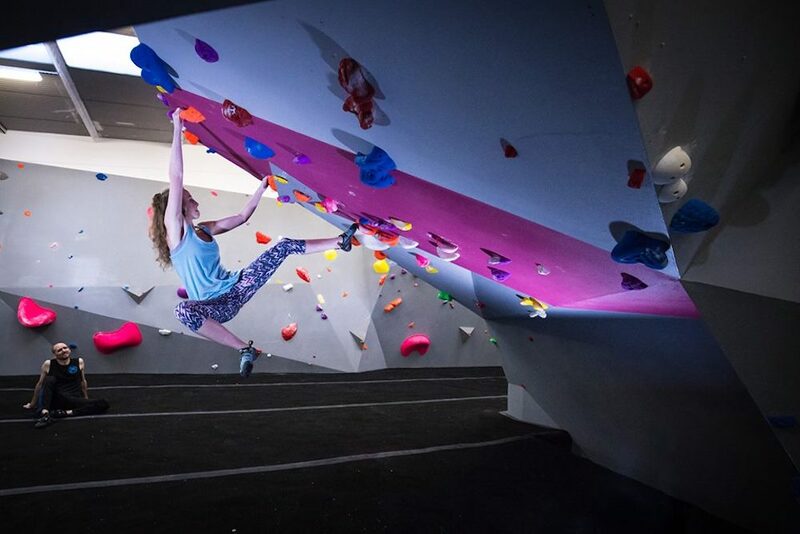 Direct the smalls to this fab and brand new climbing wall facility in Plymouth. With weekend clubs tailored to kids from 4 years +, I’m assured there’s also a pretty damn good cafe in the house, so that’s pleasing. Can you believe that 2018 marks the 50 year anniversary of “that” production of Oliver Twist? We would definitely like some more please! This Easter treat yourselves and your families to the iconic musical, the heart-wrenching yet magical story of one orphaned boy’s adventures in Victorian England. Exactly what is not to love about pompoms? 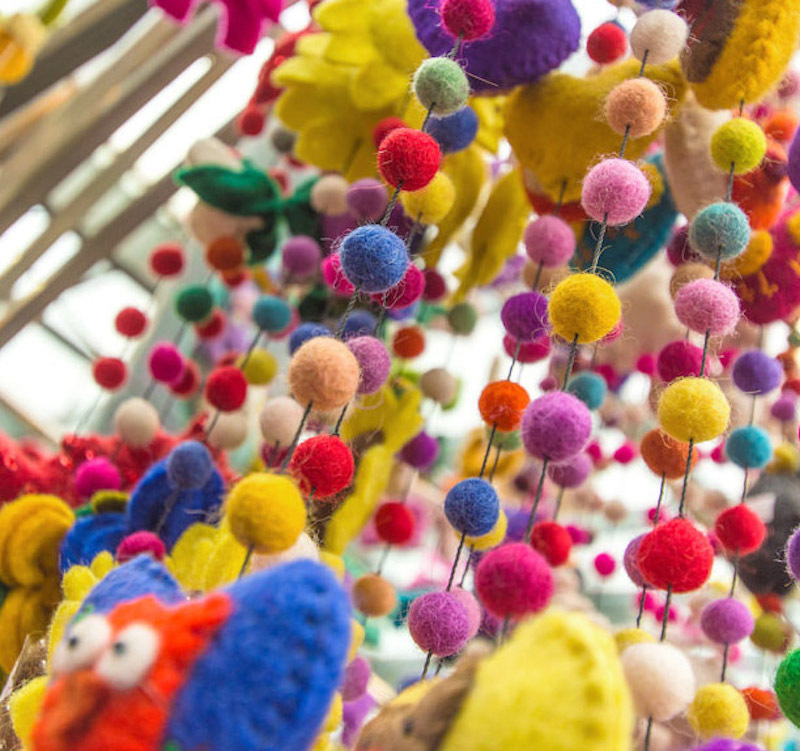 If you’re like me and my mini then you too will be a bit pompom-tastic and this chance to make pompom creatures out of yarn and fabric sounds like a creative heyday. 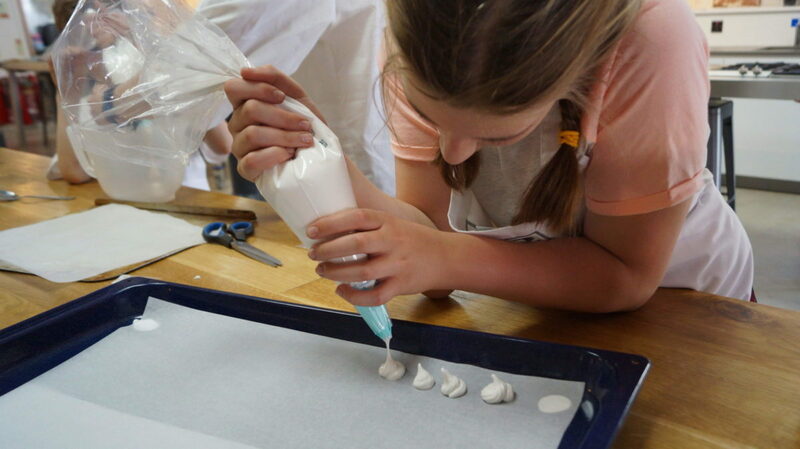 Get hands on with pottery and work out how to replicate fungi, moss, toadstools, ugly bugs or butterflies and ladybirds to decorate your clay Bird Houses and create bespoke take-home treasure. 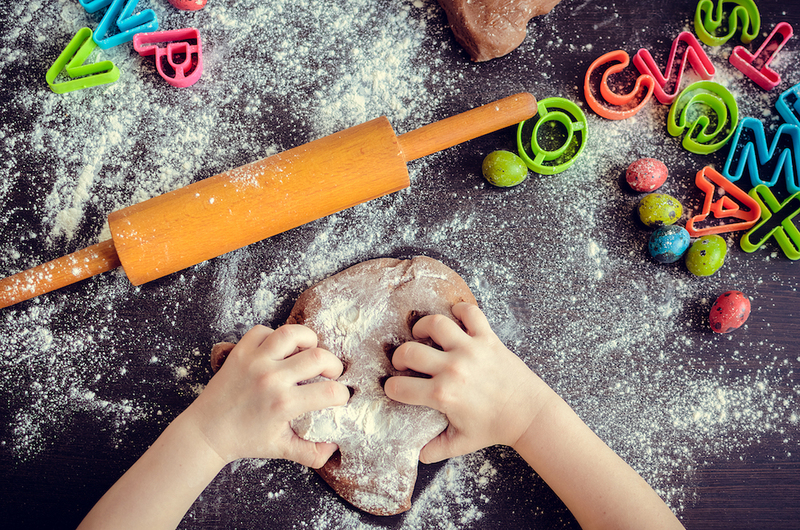 Is your 7 – 12 year old a whizz in the kitchen? 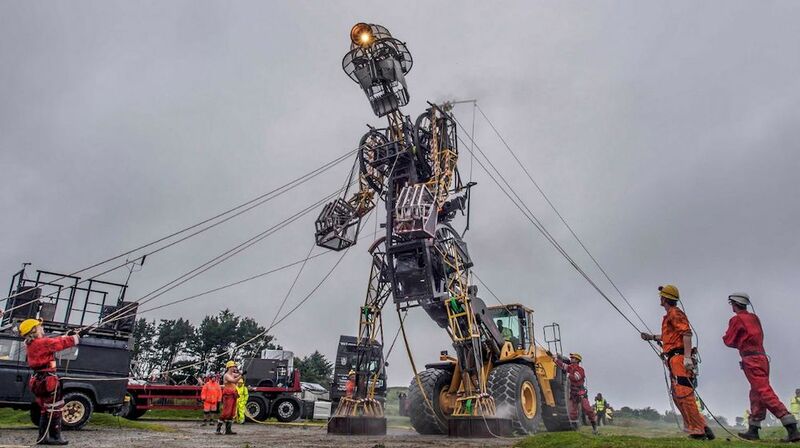 Can they create you a showstopper quicker than you can say Noel Fielding and Sandy Toksvig? Get them on this two-day cooking course at the fantastic Occombe farm. Not only will they get to develop their baking repertoire but they will get a certificate for completing the challenge too. Ready, steady, BAKE! Just before everybody heads back to their studies (and you rip the cork off a bottle to celebrate), there’s a brilliant course on offer for teens (aged 13-17) to learn all the basic skills of cooking. I wish I’d had the opportunity to do something like this; kids will learn everything, from knife skills, to organisation and, as far as the cooking bit goes, they’ll learn about making pizzas and pasta, plus some desserty things to boot. 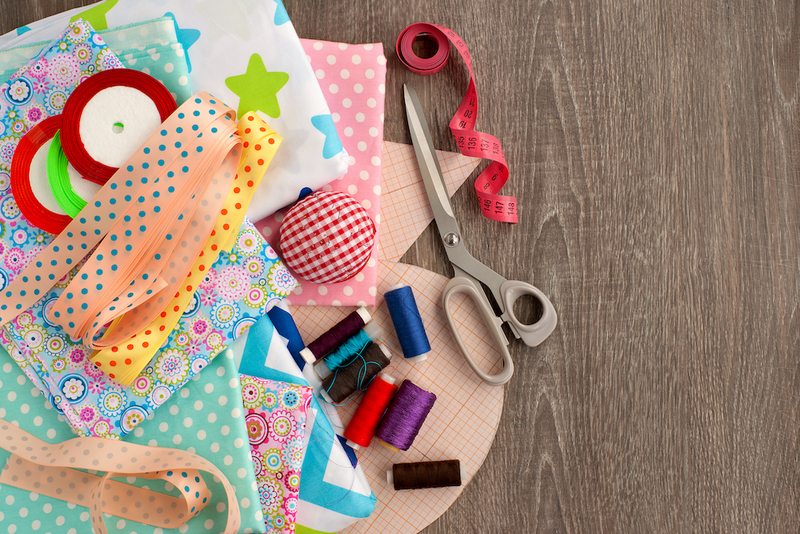 What an awesome life skill to learn (and a day off for you). Although this is not technically speaking in the Easter Hols, it is so close we had to include it. Muddy is a HUGE fan of the magical and imagination-filling Soapbox Theatre company and can’t think of a better way to “end” the holidays with our chocolate-filled tinies than going on a “story stomp” around the park. Mudlet Easter Challenge. Beach of choice. You know it’s that time of year again, don’t you? Ok, it might have been snowing in March but, Spring has sprung and it is time to get out your swimming costume and get into the sea with your mudlet. Make sure you have big towels, rugs and a thermos of hot choc waiting on the beach cos it is gonna be colddddd but OH SO, errrr, invigorating….(?!) They – and you – will love the madness. Go on… you know you want to! This month’s walk for minis is around Occombe Farm. Occombe is a working farm with an absolutely brilliant 2km nature trail for small (and bigger) people. 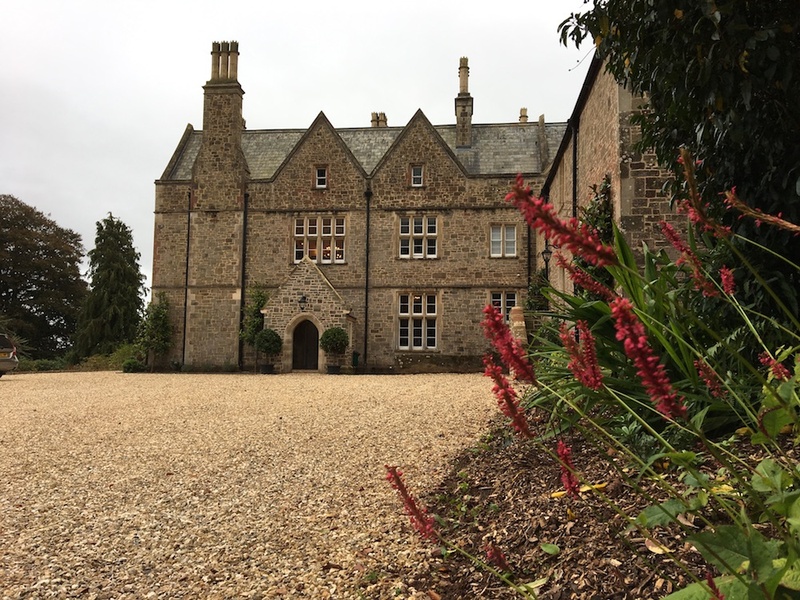 You can see animals up close, go bird -spotting, observe a bee hive and wander around the hugely impressive vegetable garden, too: it’s a dream location for outdoor learning and animal fun plus a good length stomp for little legs.